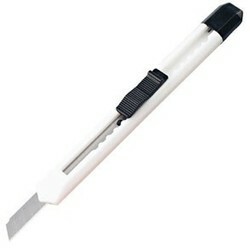 Utility - Box Knife with Retractable Blade. Pen sized retractable pocket utility knife with thumb slide blade. Blades are divided in useful increments for easy breaking and sharp cutting power on demand. 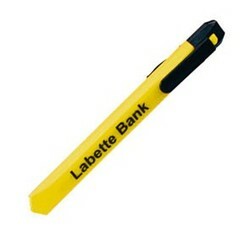 This is a great idea for construction companies, retail stores, mailing services and more. add $.30(g) & 5 days.